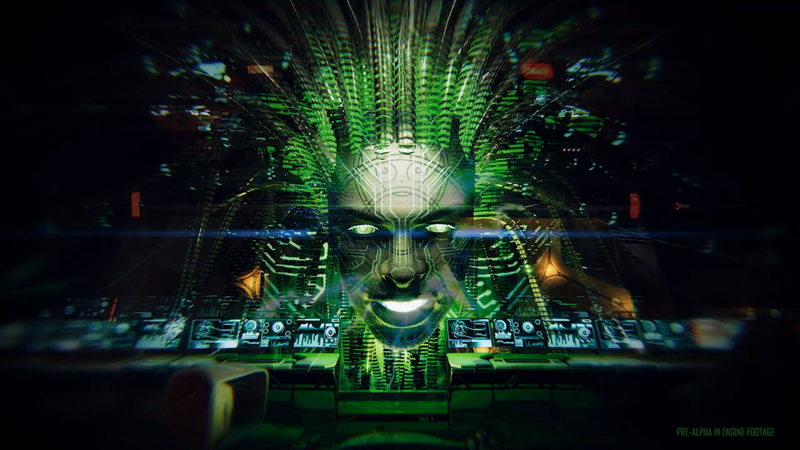 This creepy new System Shock 3 teaser premiered during GDC 2019, and it features a hefty dose of SHODAN. The newest look at System Shock 3 is finally here, in the form of a teaser trailer that debuted during GDC 2019. The very short clip doesn't show much, but it's enough to keep up our excitement for the upcoming sequel to the venerable System Shock series. The trailer debuted during Unity's Game Developers Conference keynote, which all but confirms the game will utilize the Unity engine. This is the first we've really even seen of the game since the various issues it's had since beginning development. Original producer Warren Spector is on board to helm the series' return to form, but its journey to retail has been more than a little spotty. After it previously lost publisher Starbreeze, it seemed like a dark time for the game. But Spector says the development is still continuing as normal, stating that he's "confident we can bring System Shock 3 to market and have it take its place as a leading title in the immersive simulation genre." If you like what you see in the trailer, keep it locked to Shacknews for more updates on System Shock 3 and how progress is coming along on the game thus far. We can't wait to finally see it in action proper beyond teaser trailers and short clips. It's been a long time since we first got word that the game was on its way, so hopefully this new brief glimpse means we'll get more in the coming weeks, potentially around the time E3 rolls around – only a few more months left to go, after all.